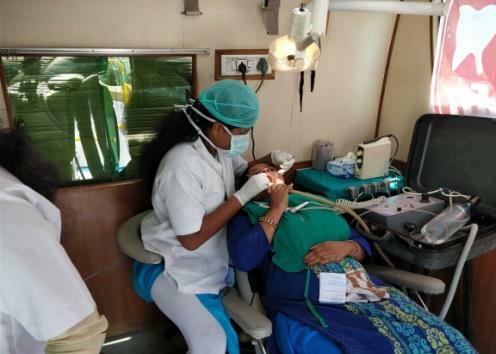 Vishnu Dental College (VDC), apart from providing Oral healthcare services at Vishnu Dental Hospital (Tertiary Care) and Satellite Clinics (Secondary Care), also extended services to Primary Care through extensive Outreach Programs targeting underprivileged and underserved communities. 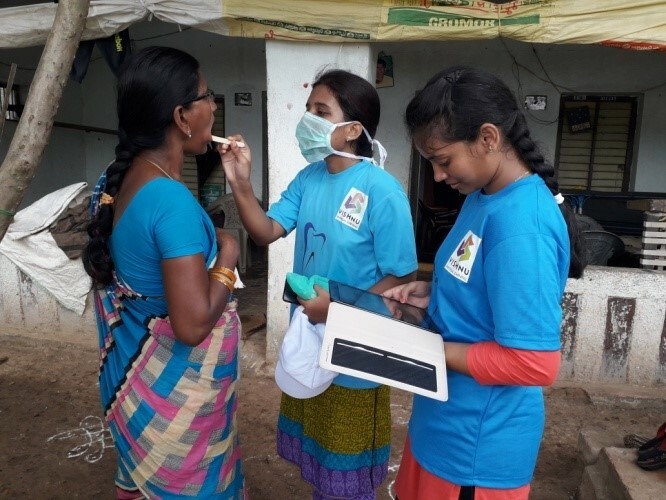 The initiatives aim at eradication of myths, taboos and misconceptions about oral health in rural areas and intimateabout the benefits of good oral health. 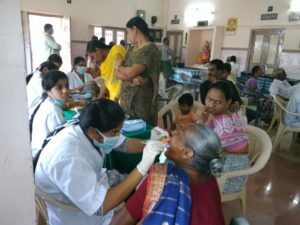 Screening Camps are conducted for early detection of dental diseases, especially in underprivileged and underserved communities. 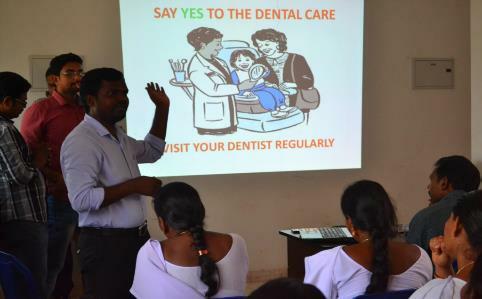 Dentists from VDC travel to remote areas to screen and give one-on-one awareness. The Screening Camps are organized with the support of Community Volunteers, who takes ownership in ensuring that everyone in the community takes the best use of the program. 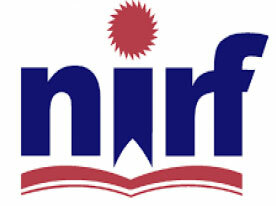 The people who are identified with oral diseases are referred to our nearest facility. 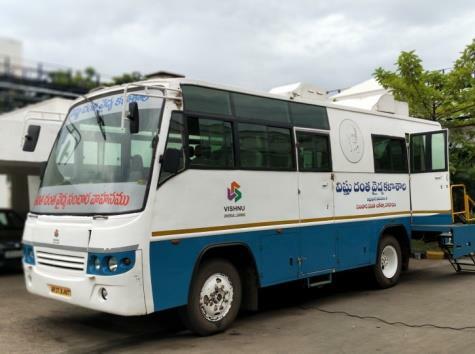 Mobile Dental Care Unit (Bus) travel miles to reach remote areas along with Dental Staff equipped with 2 Dental Chairs and all other necessary equipment and instruments to carry out Screening, Teeth Cleaning, Tooth Removal and Fillings. People with extensive oral care needs are referred toour Secondary or Tertiary Care Clinics. More than 60% children under 15 has prevalence of dental caries. whereas about 90% remains untreated due to ignorance. Cumulative effects of untreated caries affect growth and well-being of children. This burden increases with age. Children with poor Oral Conditions are 3 times more likely to be absent in school or perform poorly in studies. Early treatments along with Preventive strategies is an ONLY WAY OUT! Our School Oral Health Programs include Oral Health Education, Screening, School-based Sealant Program, Atraumatic Restorative Treatment (ART), Tooth Brushing Program and Fluoride Application Program. 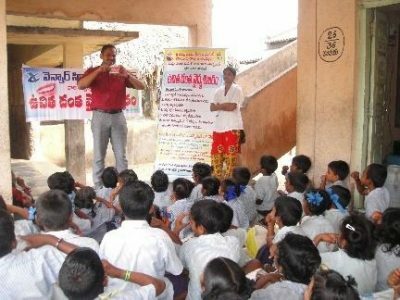 Since there is a greater potential and urgency to address extensive oral health needs in school going children in communities, VDC is continuously looking forward to collaborating with Corporate Social Responsibility (CSRs) initiatives to effectively improve thechild’squality of life. 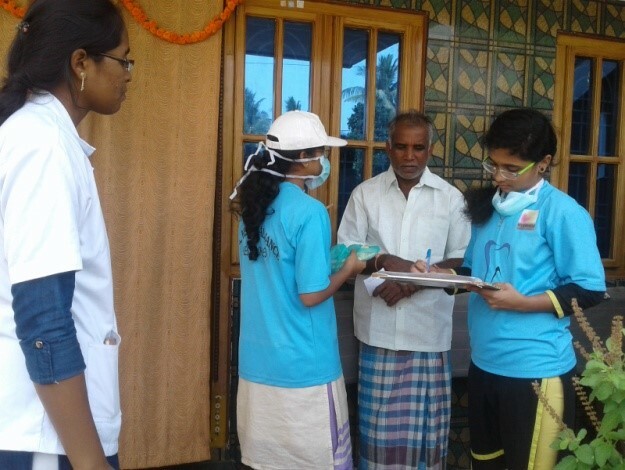 -Miles for Smilesis a unique door to door campaign where dentists reach out to the door steps ofunderserved and underprivileged communities to educate them on their oral health status and give them awareness on oral hygiene, preventable oral diseases and essential facts to motivate them towards better health seeking behaviour.